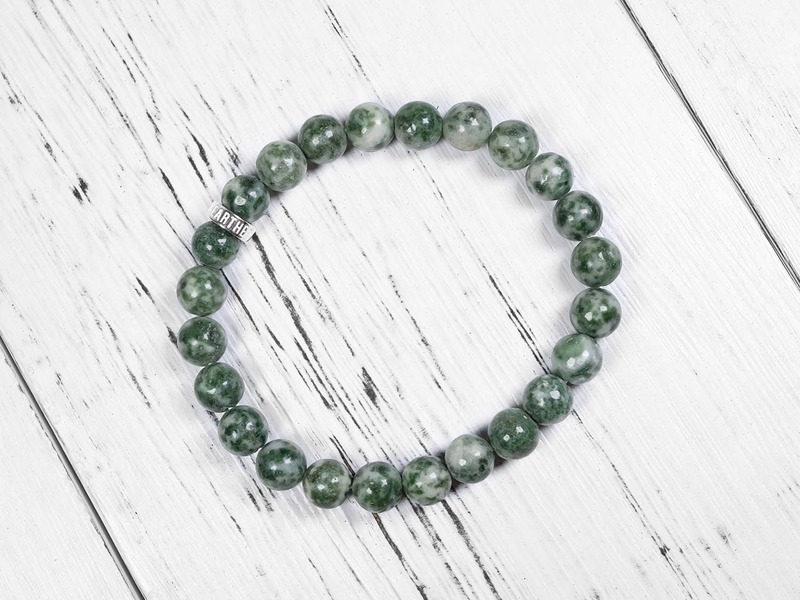 This green speck jasper patches of green on the grey jasper stone. 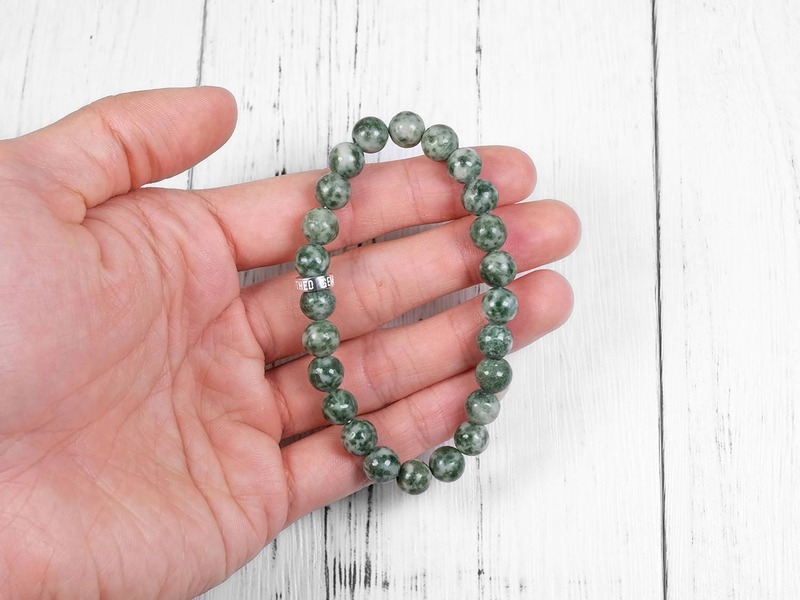 The two colors create a very earthy toned gemstone. 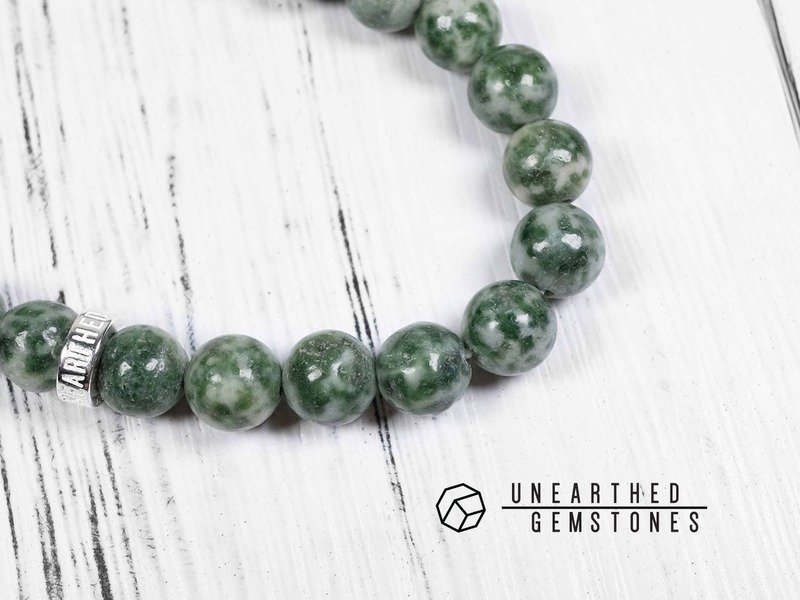 At closer look, the details on this naturally formed stone is intriguing. 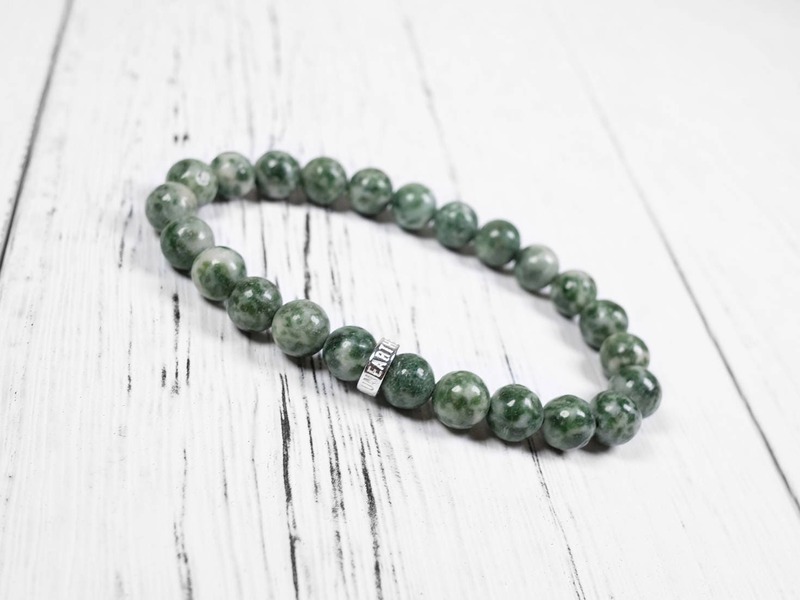 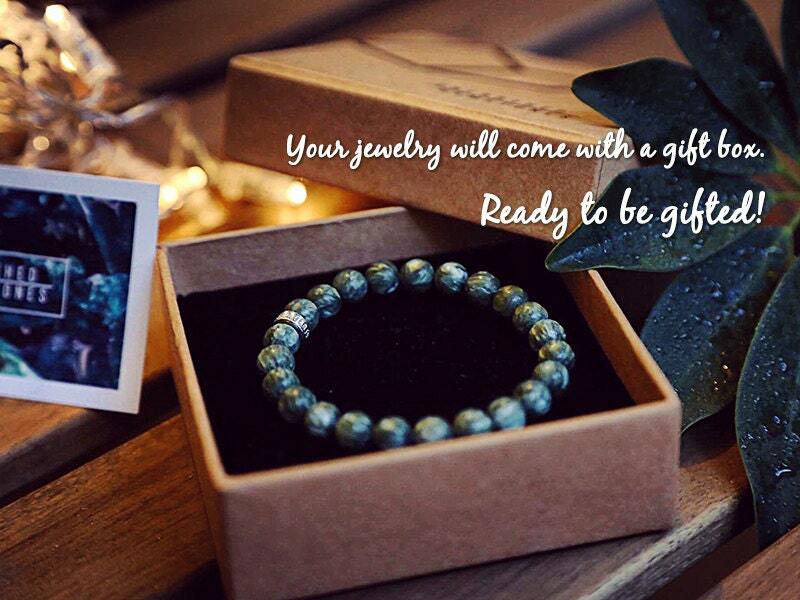 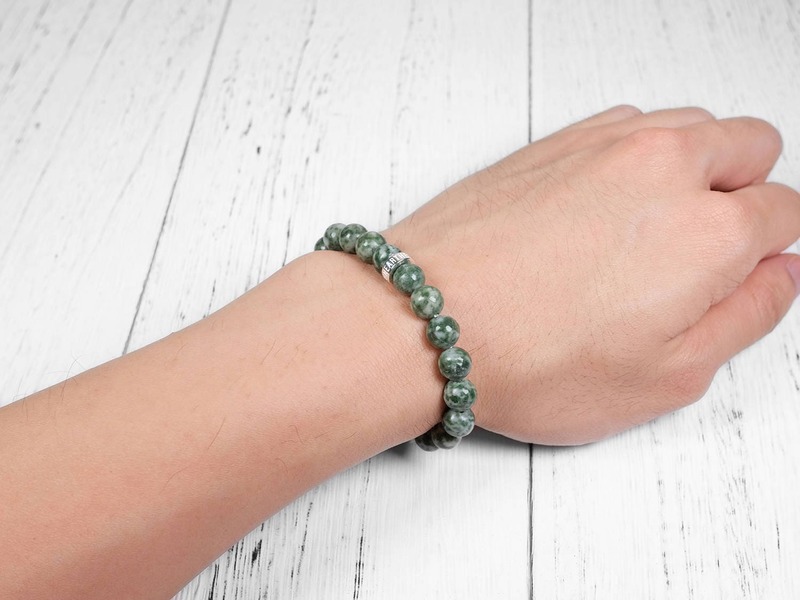 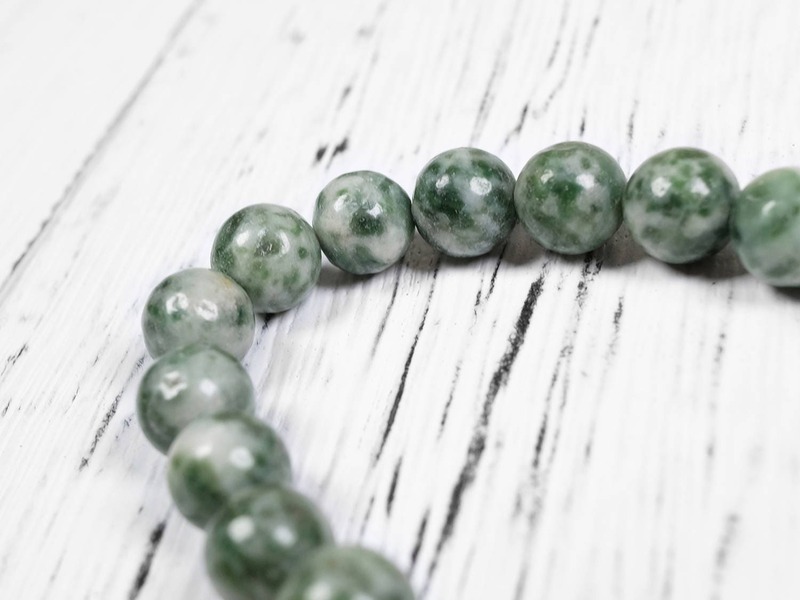 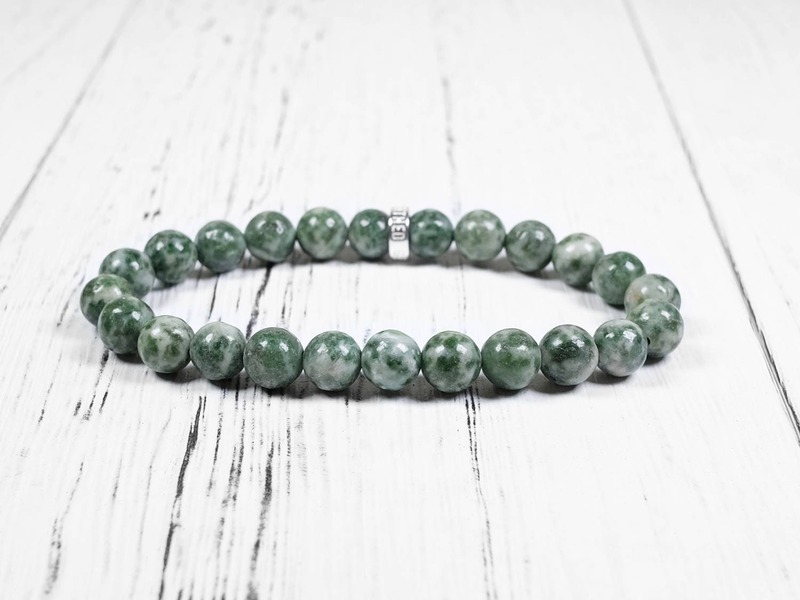 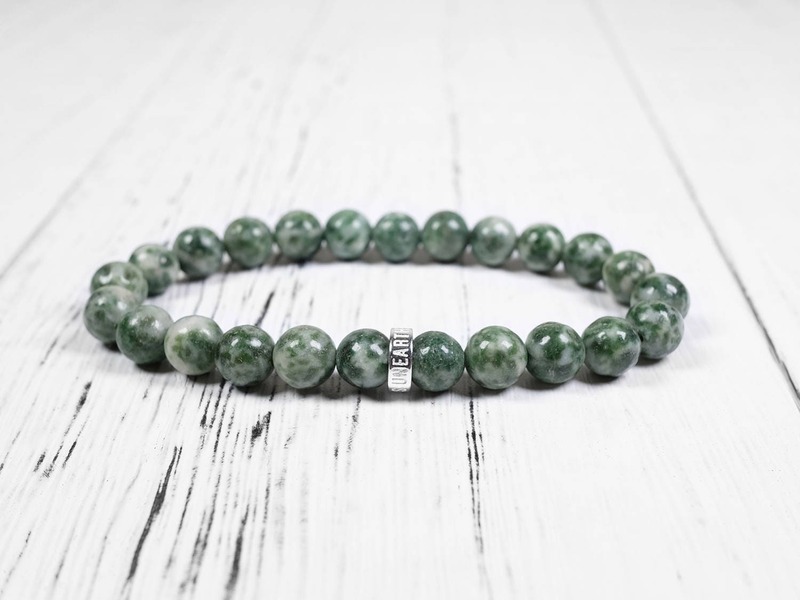 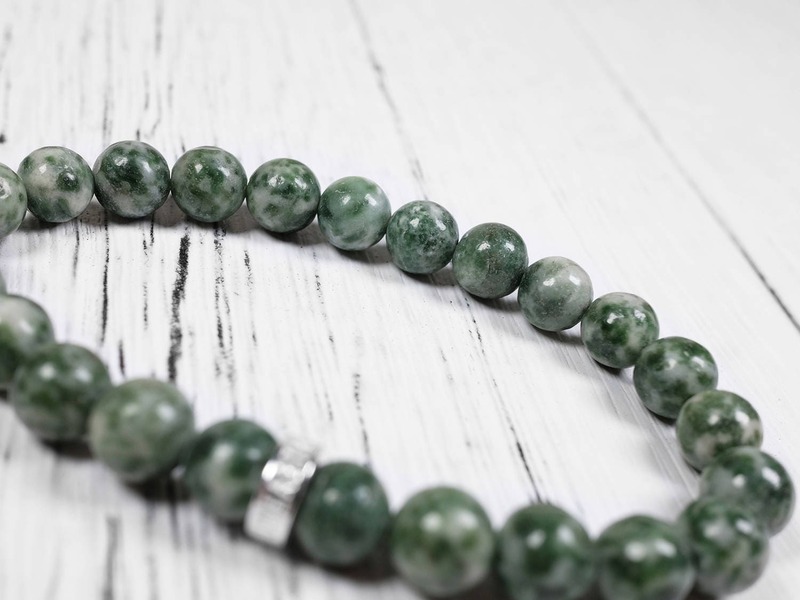 Great choice if you are looking for a green gemstone bracelet.